The snake is one of the Chinese animal signs. 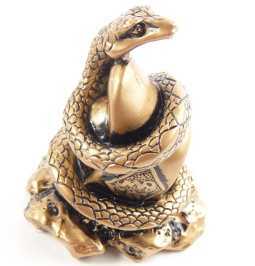 For people born in the Monkey, Ox or Rooster year, it is good to have a symbol of a snake, which represents harmony. A good position for a snake is in the South East of your home or office. You can put it next to a pot plant or on top of a book shelf.